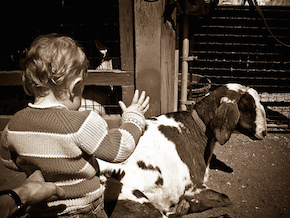 When you see the almost instant change from apprehension to joy on a child’s face when meeting a goat for the first time, you can immediately appreciate the value of a petting zoo. But petting zoos have risk. The CDC reports “many people become sick every year because of a visit to an animal exhibit” due to harmful germs. 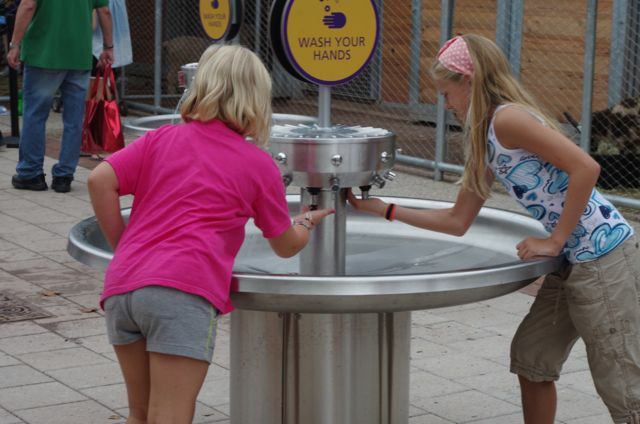 When SMP Architects based in Philadelphia was tasked with the design of KidZooU at the Philadelphia Zoo, hand washing stations had to be in their plan. This outdoor area would be open all year long and because it’s located in the Northeast, the stations would have to work in freezing temperatures. It was that specification that, at first, appeared difficult to overcome. Hand Wash Fountain SMP Architects reached out to Jeff Showalter, National Sales Manger at Neo-Metro to see if he might have a solution. Neo-Metro manufacturers hand washing stations typically used in hotels, restaurants and nightclubs. This was the first request for one that could operate in freezing conditions. Showalter immediately turned to Bob Murdock, CEO of Murdock Manufacturing, another division of Morris Group International and manufacturer of outdoor drinking fountains. Murdock has a line of freeze resistant fountains, and Bob Murdock was able to guide Jeff through what they would need to do to create customized hand washing stations with freeze resistant valves. Typically with a water fountain you press a button and water comes out. When you release that button, the water stops. 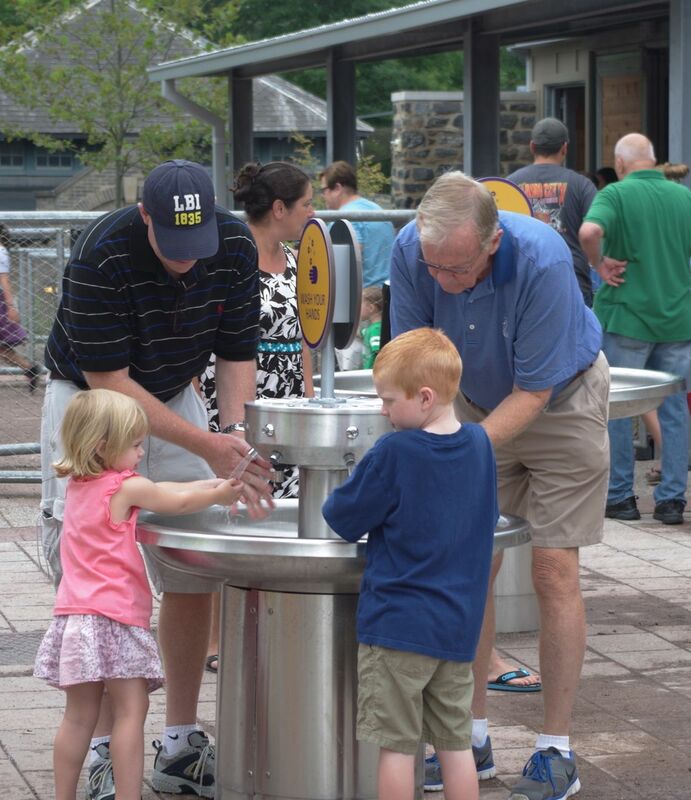 The station would need to be on a timer allowing water to flow freely while the zoo visitor washes their hands. Enter Acorn Engineering, yet another division of Morris Group International. They customized the timer system so that once the water stops flowing, the water in the line automatically drains down into a gravel pit six feet below the ground’s surface. Thus, there is no freezing in the lines themselves. By now the engineers were getting more excited about this custom project, and they began to think ahead to how the units would be serviced. Each hand washing unit has eight individual stations. There are four stations connected to each valve resulting in two valves per hand washing unit.